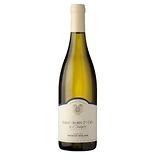 A wonderfully fresh, crisp, stony, mineral nose with underlying hints of honey, apricot and apple. Dry, low-medium acidity. Fresh lime, apricot and apple to begin with. Very mineral and almost austere middle but the fruit and honey balance superbly. Long, grapefruit finish.